In the beginning of February heavy sleet covered majority of the forest. 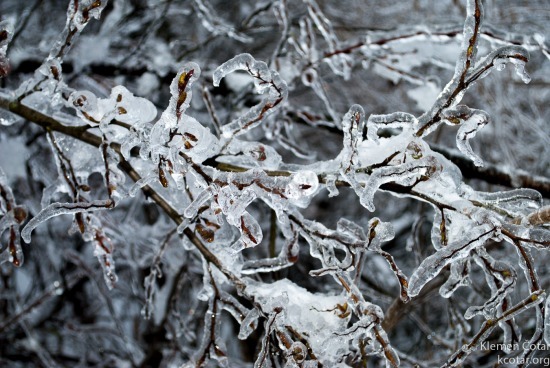 Freezing cold held almost half of the country in a tight grip for days and caused thousands of the trees to be crushed under the weight of snow and ice. About 40 % of woodlands have been damaged in natural disaster. Damage was not caused only to the woods. Fallen trees disconnected many telephone and power lines, cutting off the electrical supply for entire villages. In my location, conditions fortunately were not catastrophic. 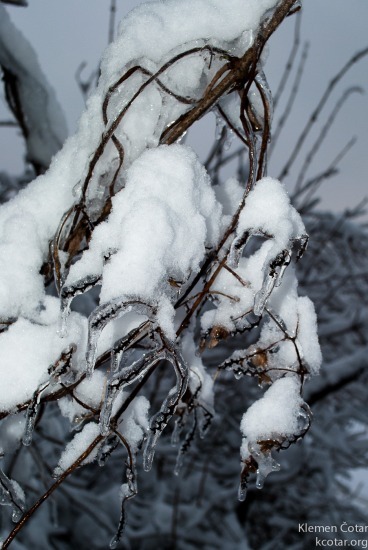 Branches have accumulated less than 2 cm of sleet in contrast to the the worst locations where the accumulated sleet was approximately 10 cm thick. 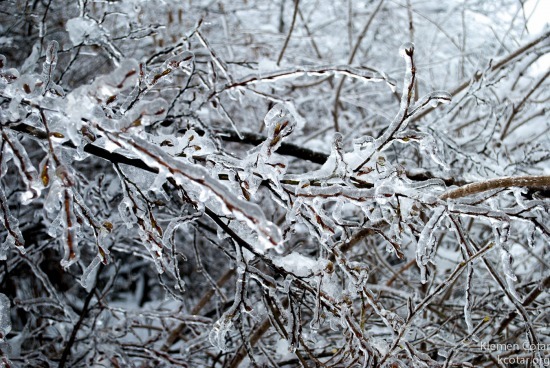 Nevertheless, walking in the woods was scary as you could hear loud sounds of breaking branches all around you.